This morning Business Energy & Industrial Strategy (BEIS) issued the long awaited ‘Clean Growth Strategy’ which establishes a mission to lead the way to a low carbon future for the UK. The Document provides a view of the future energy efficiency landscape and underlines some longer term goals for government. Elmhurst has quickly reviewed this important document and have extracted the key points which could impact energy efficiency in people’s homes and commercial premises. Backing the LENDERS project (which Elmhurst helped), to promote the concept of green mortgages. A call to evidence in 2018 to extend EPCs to other trigger points. Looking for ways to make EPCs better. 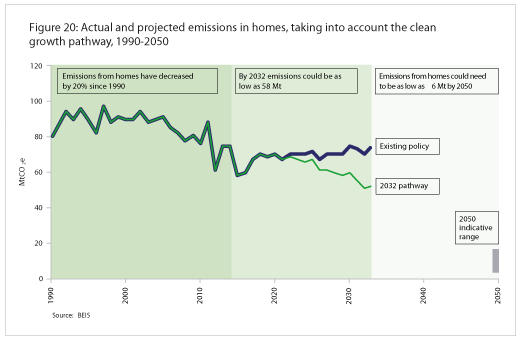 Various points surrounding Building Regulations, but no commitment to zero carbon yet.